I cannot recommend Golf4uspain enough, this was our 10th trip with his team and everything they had arranged was first class as usual and at a fantastic price. From the hotel, transfers, choice of courses and the endless daily support we could have not asked more. Prior to going out and at late notice, we asked for a change of a course due to bad reviews and Stu immediately did so and then he informed us that another course we were supposed to be playing had closed and consulted with me asking what course we fancied playing. 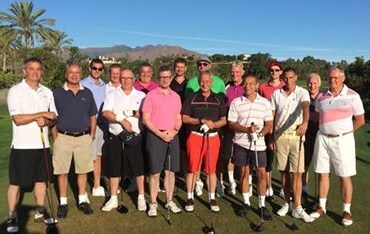 If you want a trouble free golf trip organised by a professional team go no further than Golf4uspain, they are superb and we definately would not travel with any other company.